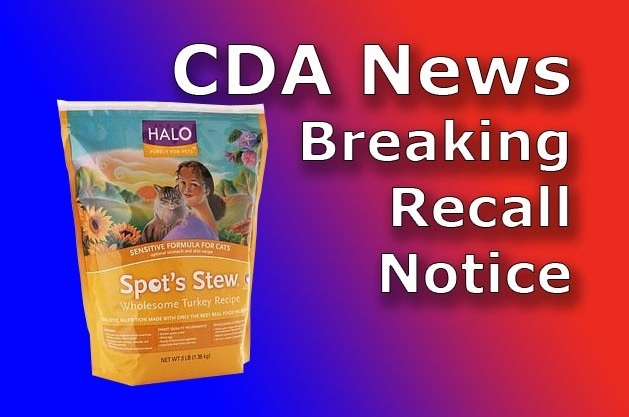 Halo, Purely for Pets has initiated a limited, voluntary recall of its Spot’s Stew Sensitive Cat Turkey kibble with a Best By date of 09/04/2016 due to reports of mold. No other Halo products are affected. For more information, contact Halo Customer Care at 800-426-4256 Monday-Friday 8:00 a.m. – 5:00 p.m. EST, or email customers@halopets.comor visit www.halopets.com.